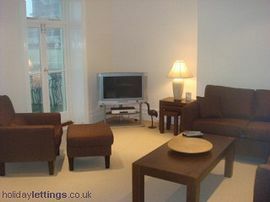 Bay view is a family run luxurious, newly refurbished, sea facing apartment. 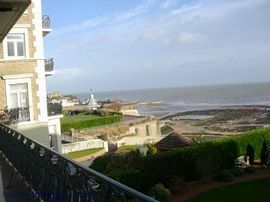 Situated in a conservation area in central Broadstairs it boasts uninterrupted sea views from all rooms. The apartment has a sea facing balcony which runs the entire length of the apartment and is accessible via French windows from all the rooms except the bathroom. An ideal spot to enjoy your morning coffee or a glass of wine as the sun sets, or just sit back and watch the ever changing colour of the sea. 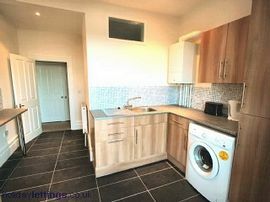 The apartment has been fully refurbished and benefits from a new kitchen, which features a built in gas cooker and hob, a built in fridge freezer, microwave, and a washing machine. The bathroom is fitted with a large bath with glass shower screen and a wall mounted shower. New carpets give the apartment a fresh and airy feel. The two bedrooms can accommodate 5 people. We offer a family room of one double bed and double sofa bed. The smaller second double bedroom is fitted with a double bed. The living room has two sets of French windows leading onto the balcony, a dining room table and seating for 6 is also situated in the lounge, although a breakfast bar in the kitchen may suffice for casual dining e.g. breakfast. A TV and DVD player are also in the lounge. DVDs and books are there for you to enjoy during your stay. 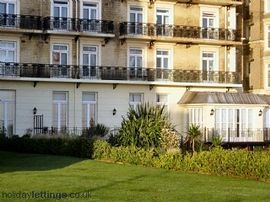 Local Services: located in a sea front location within 5 minutes walk to shops and local restaurtants. Beach a 2 minute walk. Ferries from Ramsgate Port which is 5 minutes from Broadstairs. 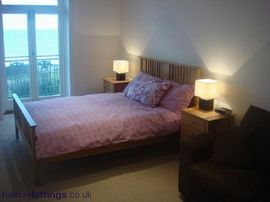 Broadstairs is a 2 hours drive from Heathrow , Gatwick. If travelling from either of these airports you need to join the M25 in an anti-clockwise direction following signs for the M20. Join the M20 and travel until Juntion 7 where you exit to join the A249. Continue on the A249 until you see signs for the M2 . Once joining the M2 you will be about a 40 minute drive from m France arrive at Dover Port which is a 30 minute drive from Broadstairs, a daily ferry from Belgium's Ostend also arrives into RamBroadstairs. The M2 eventually turns into the A299 ( Thanet Way ) which takes you all the way to the outskirts of Broadstairs . Follow signs for the town centre/ sea front. Low season 2 night breaks ( Fri & Sat ) from £180. We are open throughout the year . During high season we only take weekly bookings (June , July , August ), we can do short breaks of 2 nights or more by arrangement.